Following a client’s brief is essential; you need to execute their idea to a high standard in the best, most efficient, way possible. Much of what you need to do is common sense but it doesn’t hurt to have a few tips from someone’s who has already made every permutation of error out there, so here you have it, a few handy hints for making sure you hit the mark. Don’t make the mistake of thinking that you’re design ideas are better than someone else’s, instead talk the idea through and make suggestions for other concepts that you think will work well and be able to explain why. Identifying your client’s taste is a good place to start, but it’s important to get this perception directly from them. Don’t go solely by their website or décor because it might be irrelevant, for example, if you don’t ask they might be planning on changing it or it could be a colour scheme they can’t stand. Have a chat, have several chats, and keep asking questions to make sure you’ve always got the right end of the stick. It’s really useful to have a brief in front of you. If your brief has been emailed read it through, work out what you think it all means then talk to the client before you even think of doing anything else to confirm that you are, or aren’t, on the right track. Don’t feel silly for reiterating, you’ll feel sillier if you get it wrong. Make sure you have a thorough understanding before you start working. A rookie error is thinking there can only be one or two interpretations of a style or theme. There have been many times in the past, and it still happens from time to time now, where I have a concrete vision from the brief that turns out to be miles from what the customer had in mind. Be really specific about the details, if they’ve said, for example, I want a blue background, well, it’s silly to assume that of the hundreds available they’ve got the exact same shade of blue in mind as you do. 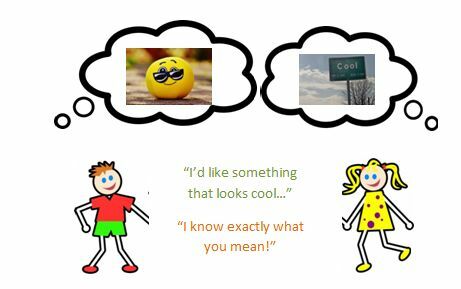 Don’t accept vague terms like “something cool” or “something vintage” without getting your customer to show you examples of what they mean by that. It can sometimes be quite difficult to squeeze these details out, it’s important to stay friendly and ask questions in a patient manner, it can feel awkward to begin with but you’ll soon develop the knack. Trust me; it’ll save you so much time in the long run. Sending drafts back and forth can be time consuming, and not only could you be wasting everyone’s time, you’ll also make yourself look less professional. If you have doubts, or if your customer is unsure and needs a little inspiration or direction, suggest sending through some partial designs. That way you don’t waste too much of your time, your customer will feel looked after and the first full draft you send will be what your client is looking for. Next PostNext Responsive Design, What it is and why you need it!